The start of a new year is always the perfect opportunity for renewed optimism, evolution and growth. 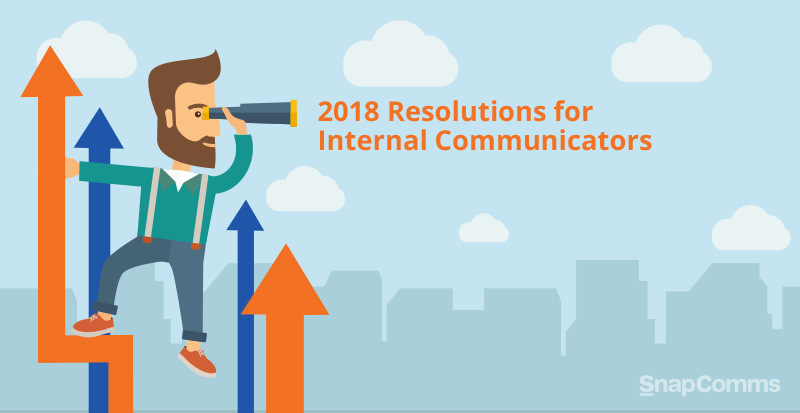 It’s a great time to review what’s working well for your internal communications and what needs to be implemented over the coming months to streamline and improve your processes. The nature of communication is constantly changing, driven by shifting user behavior. Here are some ideas to make your communications for 2018 as effective as possible. Manager credibility is essential to your workplace. Ensuring your managers know how to communicate strongly can increase both your employee and financial performance. Part of being an innovative manager is understanding how the workplace environment is changing and growing, and how to implement systems as part of an overall strategy that will make communications more effective. Technology is rapidly advancing, and tools available for companies are becoming increasingly available for every kind of problem solving. The overwhelming variety of options can be confusing, and it is important your managers are given solid support and training. Ensure your managers understand the importance of strong communication skills and are provided with guidance on how to implement new tools to decrease confusion, increase engagement, and achieve optimal results. The use of email is in decline, especially across workforces where there is a high concentration of younger employees. The new year might just be the right time to look at expanding your toolset. With employees opening their inboxes to find an average of 120 emails every day, important udpates and announcements are easily overlooked. It’s crucial for your internal communications to effectively reach all your employees, especially if you need to announce critical updates or emergencies. Younger workers in particular have a decreasing attention span. They are best reached with communications of a similar nature to the ones they use regularly for social means. Short messages or alerts can connect with them at their desk or get sent to their mobile devices if they are on the move. Emails are much less likely to be effective for this demographic and are often set aside for reading “later on”, which may never eventuate. 3. Don’t Make your Comms so Serious! While it’s important to remain professional at work, a sense of humor goes a long way for building rapport. It’s been shown to improve company culture, alleviate tension between co-workers, and improve the delivery of serious and complex messages. Laughter is one of the most important tools that humans can use to connect with one another, and studies have proven that a happier workplace can boost employee productivity by up to 12 percent. Companies such as Laughology dedicate themselves to teaching organizations how adding humor to their communications can measurably improve their results. Communications with a sprinkling of humor at the right time can help employees connect with one another and add a human touch to messages that come from management levels. Add some personality to your content and try to create engaging communications that your employees will look forward to reading and discussing. This in turn will lead to a richer company culture and a working environment that people are proud to be a part of. Peer-to-peer communication can be a highly effective method of presenting important messages, driving engagement and promoting the feeling that all members of staff are valued and included. This, in turn, helps build credibility within your workplace and can address the issues of power balance, especially if your employees are tired of only seeing presentations from the executive suite or outsiders. Your employees all have varying strengths and talents. Consider getting staff to create content and deliver video messages. Some of them may be great with communicating facts and logic, others may be better at storytelling and analogies, but chances are your staff are capable of delivering a wide range of internal messages across your workplace that are interesting, relevant, and engaging to their peers. This can help ensure your messages are delivered with an authentic voice and received with greater success. 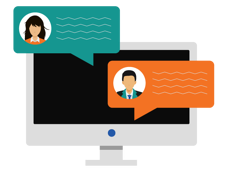 The opportunity for peer-to-peer communications also gives your employees a sense of value and empowerment. Everyone within a workplace needs to feel there is a system for two-way communication that is transparent and readily available to them if they need it. Make sure your company has clear processes in place to facilitate internal communications from employees to management. Managers should actively encourage employees to share any issues they might be experiencing and pursue solutions to problems that arise. This helps foster trust and improves the relationship between employee and leadership levels. For 2018, start investigating ways that you can break out of your patterns to energize and improve your communications in a way that will increase employee engagement and productivity and lead to improved financial performance. The future of your internal communications should be determined by the needs of your employees. Ensure your managers have the technology and support they require to communicate effectively to your entire workplace demographic and consider including members of your staff in your message deliveries so you can develop a richer, more connected company culture in the new year. 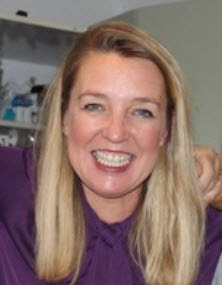 Susan Bowden is Marketing Manager at SnapComms, a world-leading provider of digital internal communication tools.